LONDON, England -- England supporters will face a chronic shortage of hotel rooms and major travel challenges at Euro 2012 after Fabio Capello’s team were drawn in Group D, with their matches played exclusively in Ukraine. Fan power: England supporters are braced for the challenges ahead for Euro 2012. With two games in the easterly city of Donetsk, the opening match against France and a decisive fixture against hosts Ukraine, fans arguably face a bigger challenge off the field than Fabio Capello’s team on the pitch. Donetsk is a particular challenge for organisers and supporters, with a fraction of the hotel accommodation required to host the official Football Association ticket allocation of 8,000, which could be boosted by many more fans hoping to buy tickets at the ground. UEFA have already struggled to find the hotel rooms required for the venue, sourcing rooms from a 250km radius around the city to secure the 6,000 beds they need for teams, officials and sponsors for the quarter and semi-finals. The official media hotel for the stadium for example is 68 miles from the ground. The limited accommodation means fans may have to shuttle in and out from Kiev, but with scheduled flights at a premium organisers are relying on chartered flights into the new airport at Donetsk to cope with the influx. The alternatives are time-consuming, with the 370 mile train journey taking eight hours, and the drive at least as long. 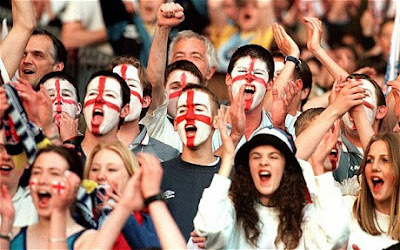 With England shuttling between Donetsk and Kiev, where they play Sweden, twice in nine days it will be a tiring trip for fans, according to Kevin Miles, director of international affairs at the Football Supporters Federation. “The draw could have been worse on the pitch but it is certainly going to be challenging off it for the supporters,” he said. The FSF will provide fans embassies to help supporters as well as a full guide to the venues on www.fsf.org.uk, and Miles will begin discussions with the Foreign Office and the Ukraine organising committee over how England fans can be accommodated next June. “Accommodation and transport are the two big issues. The distances between the venues is a problem with the short time between games. Travelling Donetsk-Kiev-Donetsk in nine days will be a challenge. With Germany and Holland also drawn to play in Ukraine the country faces a major test of its preparations, which are acknowledged to have lagged behind Poland.